After being hurt in a personal injury incident, you may be thinking, “Why did this happen to me?” If someone has caused damage to you, there is no need to suffer in silence. An Orem personal injury lawyer from Craig Swapp & Associates can answer any questions you may have in this trying time and talk to you about whether there might be a chance for compensation. The prospect of involving a law firm can be very intimidating or feel unnecessary to some. However, an Orem personal injury lawyer from our office can explain how resolving your issues through legal channels can make your life easier rather than more difficult. Whose insurance pays my medical bills, and what if they don’t pay enough? What if I get fired from my job due to my injuries or mental state? If I make a complaint, will the other person go to jail? If I don’t accept settlement money now, will I lose the opportunity to do so? What is a deposition, and do I have to agree to do it? Can an Orem personal injury lawyer help me with the paperwork? How much compensation will I receive if I win my case? In personal injury cases, compensation often comes from an insurance company. While these companies spend millions of dollars in advertising to let you know they are there to protect you, they are also in the business of making money. Getting the reward your hardship deserves is not always easy. Even though they may offer what sounds like a good settlement, you may actually be entitled to more. If you have already been denied a claim by your insurance company, don’t assume you don’t have options. They have lots of strategies to deny, but we know their tricks and tactics. Working with an Orem personal injury lawyer can uncover alternate means of compensation or determine if multiple parties may have been at fault for your injury. When you’re suffering from severe pain, you have enough stress to deal with. You should not have to worry about how to handle non-compliant insurance companies, and you also should not have to worry about the medical bills that are now piling up from the injury that someone else caused you. 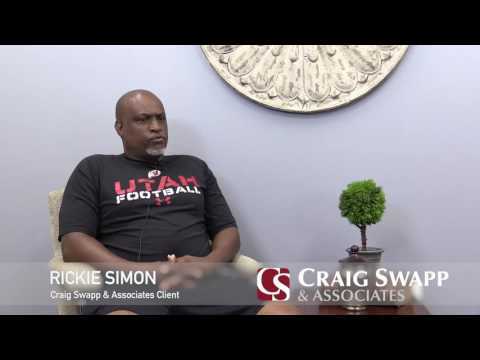 An Orem personal injury lawyer from the law office of Craig Swapp & Associates may be able to help you get back on your feet after being hurt. Our experienced team of attorneys has taken care of thousands of personal injury victims in the past, and would be glad to help you and your family today. A personal injury attorney will be able to assess your situation, explain your best legal options to you, and help you proceed with moving forward. It’s easy to get started, simply chat with a friendly representative straight from our website. You are also welcome to call our toll-free number, 1-800-404-9000, at any time. Legal terms can be confusing, and insurance companies like to use that to their advantage. They use tricky wording, low ball their settlement offers, and do anything else they can think of to keep your money within their company. If they’re giving you a hassle after a personal injury has occurred, allow a lawyer remind them of your rights. Every lawyer on our team has been trained to handle a variety of personal injury claims, and you can trust us to stand firm against anyone that tries to get in your way.